Townhouses in Branson are some of the best investments offered by Thousand Hills Real Estate to its clienteles who want to settle in one of the most visited vacation destinations in the world. The great accommodation that you can enjoy at the townhouses in Branson not only gives you the opportunity to enjoy luxurious and comfortable living in a secluded place but it also gives you the opportunity to earn extra income from rentals to tourists who want to enjoy a fascinating stay in your real estate property. Owning a realty estate property at Thousand Hills Golf Resort is the best choice for people like you who are looking for convenient and comfortable living. Come experience the fun of living in a cozy accommodation in a townhouse where you will always have the chance to enjoy the picturesque view of the beautiful scenery, unspoiled nature, bountiful wildlife, and crystal clear waters of the pristine lake. These majestic attractions are some of the reasons why many people opt to invest in Thousand Hills townhouses in Branson. The townhouses at Thousand Hills are perfect for the entire family, providing convenient and comfortable accommodations in a place where fun and excitement are easily accessible. These beautiful accommodations are conveniently located right at the center of Branson’s entertainment hub. These townhouses are spacious enough for the whole family and homey enough for a long escapade. This cozy place is the perfect blend of convenience and indulgence. With the cool surrounding, it’s easy to stay active for an entire stay, enjoy the beautiful scenery and inhale the invigorating air around the place. The townhouses at Thousand Hills provide every guest the convenience of home which features fully furnished kitchen with modern appliances such as fridge, microwave oven, washer/dryer units, pots and pans, and kitchen ware and utensils. 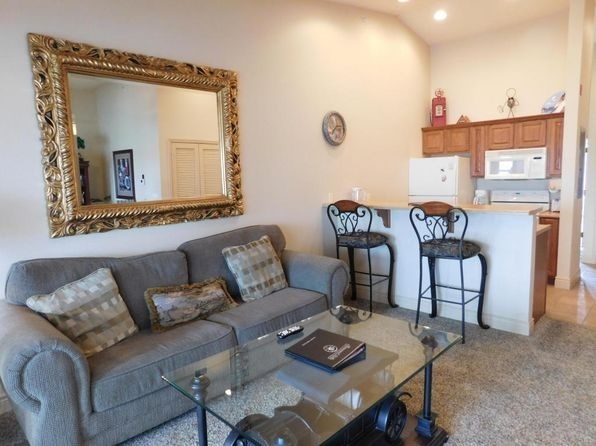 The spacious living room of every townhouse features queen sized sofa sleepers to provide comfortable stay to extra guest as well as cable TV, free internet access, and DVD player. The townhouse also features two-car attached garage. Guests at townhouses have the chance to enjoy indoor/outdoor pools as well as fitness center, tennis and basketball courts. As Branson is home to world-class live entertainment shows, exciting attractions, and great museums, many people from around the country visit the place to enjoy a wonderful vacation every year. With the popularity of Branson as a top vacation destination, real estate investment in the area continues to become a good investment option. Thousand Hills continue to offer quality townhouses, condos, and log cabins for sale or rent at affordable prices. The company continues to offer attractive investment that will allow each client the option to participate in a nightly rental program. With the popularity of Branson as a top vacation spot, real estate investment in the area continues to become a good investment option. Owning a townhouse in Branson is one of the best investments because it gives you the opportunity to earn extra income from rentals to tourists who want to stay in your pad.